Certificate of Identity (CI) is issued to Fiji Citizens living in Japan whose passports have expired or are lost and needs to travel to Fiji on emergency cases only. Fiji Nationals are advised to always keep their passports current and valid. Click here for Application for Certificate of Identity form in pdf format. Completed application form (Incomplete or incorrect forms will be returned). Three (3) recent passport size photographs (only 1 of which must be witnessed by a Notary Public). Fees (US$75.00) in Money Order or Cashier’s Bank Cheque made payable to the EMBASSY OF FIJI. Personal or company cheques WILL NOT be accepted. Passport and Original US Green Card if alien resident. If applicant does not hold a Green Card, a short statement explaining visa status should be attached. Original Birth Certificate. A photocopy is NOT acceptable. Original Marriage Certificate (for married female applicants who wish to use a last name which differs from that shown in birth certificate). Police report if passport is stolen, newspaper advertisement regarding lost/stolen passport and statutory declaration (form enclosed) stating in detail when, where and how the passport was lost. Letter of explanation for application for a Certificate of Identity. Allow 5 – 7 working days for processing. All passports are returned by registered mail unless otherwise requested. All requests for return courier (FEDEX, UPS, etc.) or express mail must be accompanied by remittance of the appropriate fees or inclusion of prepaid express mail envelopes. Requests for C.O.D. WILL NOT be considered. IT IS THE RESPONSIBILITY OF ALL PASSPORT HOLDERS TO RENEW OR MAKE AN APPLICATION FOR A NEW PASSPORT UPON EXPIRY OF THE PASSPORT, WHICH THEY ARE HOLDING. EMERGENCIES HAPPEN AT ANY TIME AND PERSONS WITH PASSPORTS THAT HAVE EXPIRED FOR OVER THREE MONTHS AND NOT RENEWED SHOULD NOT EXPECT TO BE ISSUED A CERTIFICATE OF IDENTITY OVERNIGHT OR AT SHORT NOTICE. CERTIFICATES OF IDENTITY ARE VALID FOR A YEAR FROM THE DATE OF ISSUE AND ARE NOT RENEWABLE. MOREOVER, THEY ARE ISSUED TO AN APPLICANT ONCE ONLY. 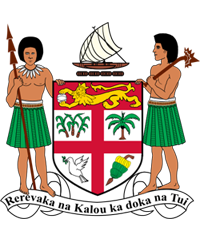 HOLDERS OF CERTIFICATES OF IDENTITY SHOULD MAKE APPLICATIONS TO THE DIRECTOR OF IMMIGRATION IN FIJI FOR ISSUANCE OF NEW PASSPORTS. IN ACCORDANCE WITH THE PROVISIONS OF THE PASSPORT ACT, NO PERSONS MAY EXIT FIJI WITH CERTIFICATES OF IDENTITY.